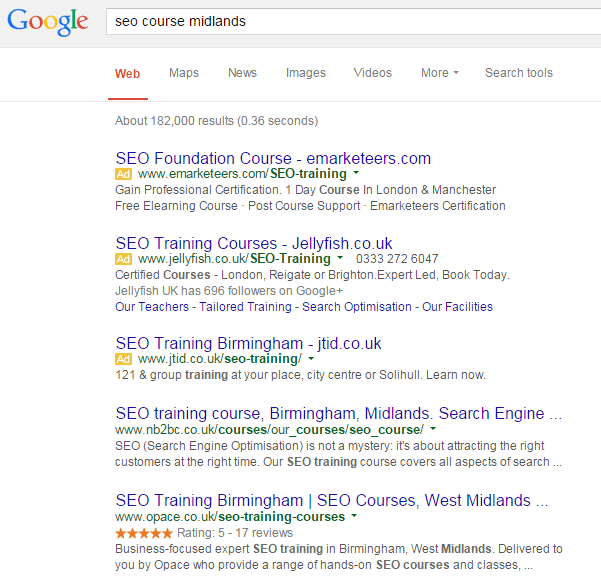 Noticed something different about Google Ads? Yes, you can now see which businesses have been rated and reviewed by other customers on paid ads. This isn’t a new feature, but it’s now available for any business that collects reviews using Google+ and we’ve been anticipating this for some time. Google has introduced starred ratings and reviews from Google+ My Business into Google AdWords. The basic idea here is that it will help users to determine whether or not to click-through to a website based on reviews. We have discussed the many benefits of this for organic search results on our rich snippets article and infographic but for paid search results this is a great move by Google. It makes quality businesses stand out to search engine users, helping those businesses that offer great customer service to stand a higher chance of gaining conversions. How do the Google+ (My Business) starred ratings and reviews work? If you use both Google My Business and Google AdWords then you will be able to benefit from displaying starred ratings and reviews in your business adverts. As long as you have location extensions enabled in your Google My Business settings, starred ratings and reviews will automatically appear in your Google AdWords, as your accounts will already be linked. 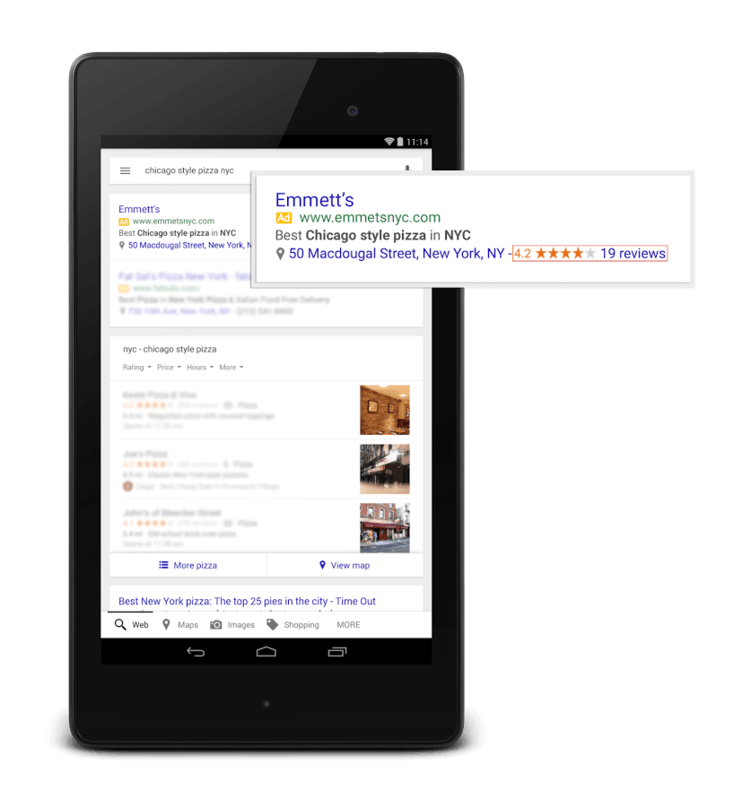 Starred ratings and reviews will appear in Google search engine adverts on both desktops and tablets, helping you to entice all consumers, no matter what device they are using. You can see this working for our own AdWords listings below. Starred ratings and reviews help businesses stand out amongst competitors. Here’s an example for Opace. The great thing about using starred ratings and reviews in paid ads is that it helps businesses that are achieving high levels of customer satisfaction to stand out. Google is often regarded as just being in it for the money with Adwords; however this move just goes to show that they value quality results in paid advertising, just as they do in their organic search results. The new starred ratings and reviews feature in paid ads will become an important decision maker for users trying to choose between your business and one of your competitors. People are increasingly reliant on their opinions and experiences of others when it comes to making purchasing decisions, so by displaying excellent local ratings, your ads will become more appealing to consumers, helping to boost their performance. Google has already said that simply having locations extensions enabled on your Google My Business account can boost your ads click-through rates by about 10%. Who knows, maybe this new feature will boost your click-through rates even more, allowing you to maximise ROI from your Google Adwords campaigns. High click through rates help local businesses to achieve a higher quality score from Google, which in turn enables them to benefit from a lower cost per click. So if you are looking to save money on your Google AdWords adverts, whilst also boosting their effectiveness, starred ratings and reviews are definitely something you need to consider using. But weren’t Google Ads showing starred ratings there before? Don’t worry, your eyes aren’t deceiving you, some paid ads on Google were showing starred ratings before, however they were provided by third-party providers like Bazaarvoice, Bizrate, Feefo, TrustPilot and ResellerRatings, rather than Google+. There were some restrictions on which Google ads would feature the previous kind of seller ratings from third parties, such as a business needing to have at least thirty reviews. AdWords Express users could also get Google reviews to appear alongside their paid ads, as long as they met the minimum review and starred rating requirements. Now, thanks to Google’s location extensions, all AdWords users can take advantage of starred ratings and reviews, proudly displaying them next to their adverts. However it must be noted that there has been no word as of yet whether or not you need to have a minimum number of reviews in order for your starred rating to show up in searches. Those who currently have location extensions turned on will be automatically be able to see their starred ratings on their paid advertisements. If you do not use location extensions currently but want to make use of starred ratings and reviews in your paid ads, you will need to follow the steps below to turn them on. In the ‘Upgraded’ menu, find your Google My Business account (it should be under account extension). If it’s not there you will need to add it. Encourage your customers to leave great feedback so you can benefit from better starred ratings on your paid ads. Of course, this new feature from Google will only be of real use to your business if you’ve actually got some positive reviews and ratings from your customers. Don’t forget to remind your customers to leave your feedback on Google. Let them know how easy and quick it is to do using either their PC or mobile. It will also help if you actively respond to the reviews you receive. 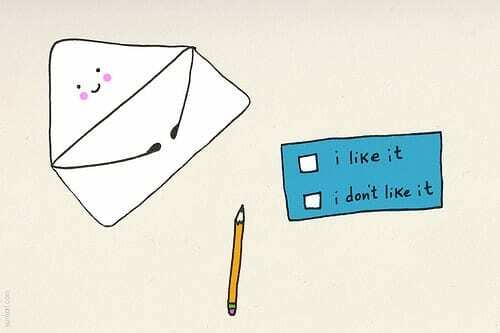 Thanking customers will show that you really care about their opinions and should help to encourage more people to review you too. Both your business and prospective customers can benefit from the new starred ratings and reviews in paid ads, so it is definitely worth using them to make your listings more attractive and encourage those all-important click throughs. Will it affect organic listings and SEO? Whilst starred rating and reviews in your paid ads are likely to make your business stand out from other competitors using paid advertising, it may also help you to stand out from competitors featured in organic results too, providing you are collecting using rich snippets. If you have a starred rating but a competitor with an organic listing doesn’t, users are much more likely to click on your search result instead. As can be seen below, we’ve recently added starred ratings to our own website which can be seen in the organic search result below. It’s too early to assess the ROI but initial signs look promising. One day it might even be possible that we see reviews and ratings like this contributing to SEO and search rankings in much the same way as backlinks do currently. Having reviews and ratings enabled for organic search results is a must in our opinion but since your paid advert will be at the top of the search engine results page and in users’ immediate line of vision, it stands a good chance of being the thing they click on first. Starred ratings and reviews in AdWords show Google is taking a positive step towards recognising the value of local businesses that offer great customer service. We hope you use this new feature to your advantage! If you need any advice about this recent Google development then give us a call, we’d be delighted to discuss its implications and our range of Pay Per Click services with you.